If you’re a buy-to-let landlord in Nuneaton, you must be feeling as if someone’s got it in for you. First a Budget slashed tax relief, and then an Autumn Statement added extra stamp duty. How could it hit your profits and what can you do about it? Suddenly your property portfolio may not look so shiny. In two successive moves no-one saw coming, the Government announced that tax relief on buy-to-let mortgage interest payments would be slashed (phased in from April 2017) and that buy-to-let properties (and second homes) would incur an extra 3 per cent stamp duty. 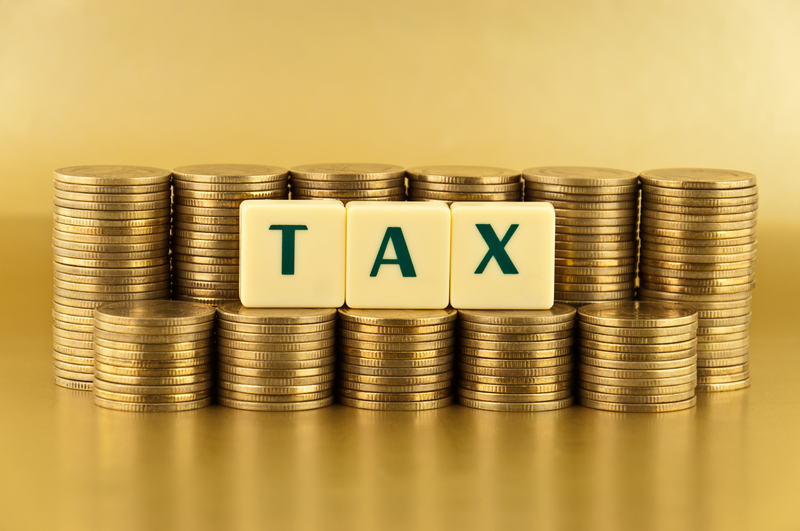 What does the loss of tax relief mean? If you’re new to buy-to-let, you might not appreciate what an earthquake this is. Up to now, people buying to let have been able to claim tax relief on their mortgage interest payments at their marginal rate of tax. This means that a basic rate taxpayer would get 20 per cent tax relief, but those at a higher rate would receive 40 per cent relief, while top-rate taxpayers could claim 45 per cent. When the changes come in, tax relief will be a flat rate of 20 per cent. Landlords who pay basic rate tax would see no change, but those on higher incomes will find themselves losing much more in mortgage interest payments. 1. You could switch to shorter-term fixed rate deals to get lower rates of interest, although these mortgages carry more risk. 2. You could place your property portfolio in a limited company structure. You would then pay corporation tax (which is lower) rather than income tax on your profits. A drawback is that your mortgage options will narrow as fewer providers will lend to a company. 3. If your spouse pays a lower rate of tax, you could transfer ownership of one or more properties to them (taking care this does not lift them into a higher tax band). 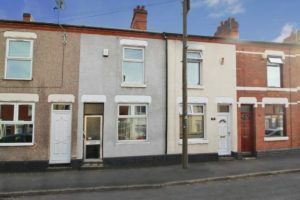 As ever, the demand for rental properties in Nuneaton is great, the percentage of people looking to rent in comparison to properties available is high and it doesn’t look like it will be evening itself out anytime soon, so renting out your Nuneaton buy to let investment will never be something to worry about. Many of our landlords are still investing in Nuneaton property because of this reason so don’t be put off. 3 months after BREXIT …. and the property market so far. Three months after the Brexit referendum and there has been no property market apocalypse as some had predicted. As ever, we British are very good at keeping calm and carrying on. Fortunately the referendum itself was simply a pointer to change, not a change in itself and we probably have three years over which to adjust to the gradual implications that may affect the market. In the meantime, as with any major economic or political event, the market was somewhat put on hold over the summer, with reported transactions only now showing themselves. Whilst the latest transaction volumes were up year on year to July by 8.3%, this is lower than the 9.7% recorded last July. And most of these latest transactions would have been agreed prior to the referendum result. More telling might be that mortgage approvals, according to e.surv, were nearly 5% down on the same time last year and house price growth according to The Halifax house price index is at its lowest for three years at 6.9%, down from 10% in March, although much of this fall could be attributed to seasonal effects and wild differences across the country. Some areas of London for example have experienced a slowdown whilst others have seen rises of up to 18.7%. The Land Registry now puts the average house price at £216,750 nationally – up 8.3% on the year based on July’s figures, while Rightmove reports a 10.5% hike in asking prices of new sellers during August. Interestingly, the RICS reports that new sales listings have fallen at the fastest rate ever, possibly indicating a “wait and see” attitude from sellers. Buyers on the other hand appear much more confident, especially with interest rates at 0.25%! This imbalance of supply and demand, plus medium- to long-term uncertainty suggests that people considering a sale in 2017 and beyond might be well advised to bring their decision forward. Not only would they be able to maximise their own sale price, but they’d be in a stronger position as they themselves become buyers as more properties potentially come to market, at a time when things might not seem so rosy. I’m sure some of you reading this have been through the infuriating, drawn out and sometimes ludicrously expensive process of having to regain possession of your Nuneaton Buy-to-let, I know I have as a private landlord in the past. A landlord who had experienced the rigmarole of regaining possession quite recently came into our office the other day. He wanted us to fully manage his portfolio because he had had enough of the problems and grief that he was having with his Nuneaton buy-to-lets. When discussing what issues he was experiencing, amongst a few, he told us of his recent debacle in regaining possession of one of his flats.He had a model tenant who paid the rent on time each month, kept the place clean and tidy and was always cooperative and respectful to Mr Landlord. What’s the problem? I hear you ask. Well, said model tenant lost his job due to personal issues and stopped paying the rent and while he was at home not paying the rent, he thought he’d annoy all the neighbours as well. So Mr Landlord is out of pocket, doing his best to pay his own mortgage as well as his buy-to-let mortgage and, to top it off, starts receiving complaints from the council. The landlord went through all the correct procedures and served the tenant with a Section 8 and Section 21 (as backup). The tenant didn’t budge. After paying £355 to the courts, he was eventually given a hearing date and was granted possession. The tenant was given 14 days to give up possession of the flat. Fourteen days passed and the tenant was still there, not paying rent and still annoying all the neighbours. The landlord went to speak to the tenant and ask why he was refusing to move out and guess what response he got “I’m waiting for the bailiffs to come because the council won’t give me a council house until I’m technically homeless”. The landlord couldn’t believe that after doing everything by the book, paying for the courts to grant possession, he still had no leg to stand on. He had no option but to pay an additional £121 to the court bailiffs to evict the tenant. The eviction took another 8 weeks because the bailiffs were so busy (well they would be if the councils are telling tenants to hold out for the bailiffs!). By the time the tenant had been evicted the landlord had to take nearly 6 months in rent arrears on the chin as well as having to fork out £476 to evict his tenant (He can try to get it back but, let’s be honest, he won’t see a penny of that money!). OUCH! All because the Councils do not accept that a person is homeless until they are literally turfed out on the street with their belongings and camping out in the council reception. Ludicrous! According to the Mortgage and Landlord Possession Statistics (released by the Ministry of Justice earlier this year) this is a growing problem in the private rented sector. Over the past 12 months in the UK, 40% of possession claims from private landlords have had to go all the way to repossession by bailiff with the average time of this process taking 45 weeks. This is a massively obvious rise from just 25% of claims in the same period 5 years ago. Thankfully, there is light at the end of the tunnel for Nuneaton landlords wanting to regain possession of their buy-to-lets thanks to a new Bill titled “The homelessness reduction bill”. On 28th October 2016 Mp’s will debate the bill and decide whether it goes through parliament. Let’s all keep our fingers crossed that this Bill gets passed because it could be the end of lengthy and costly repossessions as Councils will have to accept a valid Section 21 Notice as evidence of homelessness and start proceedings to find alternative accommodation. If you would like to discuss any matters relating to this article in more detail, or how we can help with your buy-to-lets to prevent the above scenario happening to you, please feel free to give us a call on 02477 674 545 or pop into our office on Bond Street for a chat. 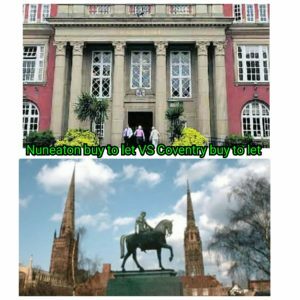 Nuneaton or Coventry- your buy to let investment options. Morning Readers, I trust we are all enjoying the last of the summer weather? I know its definitely had an impact on people being out and about as we’ve had a fair few visitors this week…one of which being a young gentleman who is looking for his first buy to let investment. He lives in Exhall and came to see us to get our advice as to whether to buy in Coventry or Nuneaton – so I did a bit of research for him which I would also like to share with you. 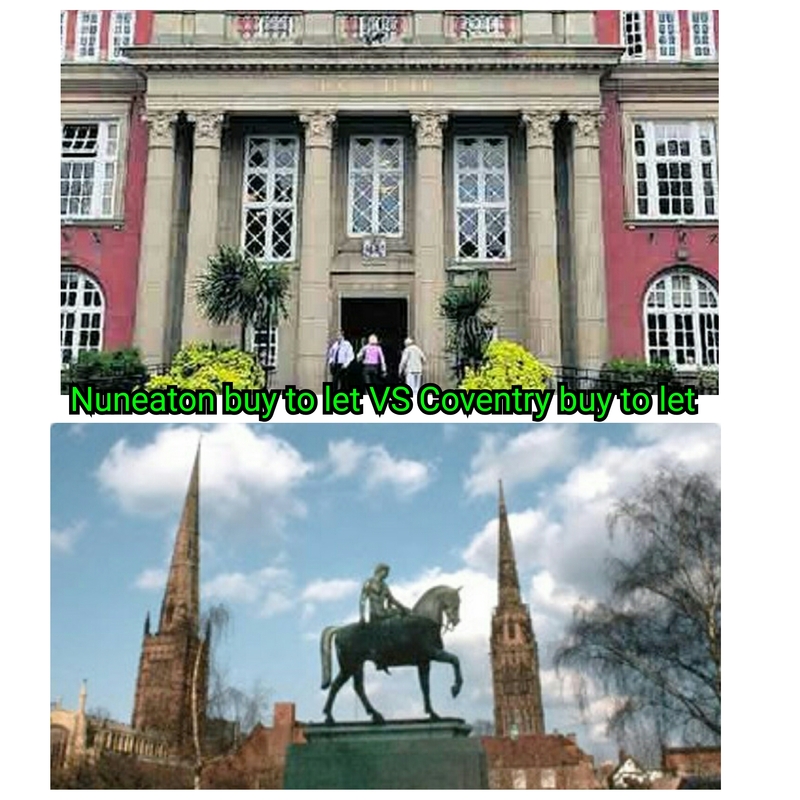 As we all know, Coventry is a thriving University City with there being a massive influx of students especially at this time of year who are looking for accommodation, and if they leave it to the last minute tend to become desperate and will stay anywhere for any price! However, I’m not in the market for encouraging landlords to take advantage of oversees students as its not a long term solution nor ethical ( in my opinion). However, like I said, there is a huge market with the students, so, done properly and fairly this can be a great income. With this though, there are many a horror story when it comes to renting to students- damaged properties, rents not being paid and then them disappearing, just to name a few! So with anything, there are risks. If you were to buy a house in Coventry to then rent out, there are plenty of working tenants also looking to rent so renting a house to a family would be no problem at all as the demand it seems is very high! In Coventry the average terrace house over the last year has gone from £133,395 to £148,007 at present( looking on rightmove the majority of 3 bedroom terrace properties are going for ‘offers over £150,000’), with an average rental income of £750 PCM this would give you an annual yield of 6%. Similarly in Nuneaton over the last year terrace houses have gone from £111,343 to £120,622 at present. On a 3 bedroom terrace in Nuneaton you could look at getting anywhere up to £650 a month depending on condition/location etc and this would give you an annual yield of 6.47% PCM. Location wise, I would say both Nuneaton and Coventry are on par with major motorway links for commuting as well as the train stations and great bus routes. People are moving out of the larger cities more and more in order to get the cheaper rent on a nicer property and then take the commuting on the chin, Nuneaton I know has had an influx recently – just with the tenant enquiries that we have been receiving- of people moving here from Birmingham and even London. Being in the midlands gives us that advantage with properties as we are so central …and property is so reasonable! So, in all fairness, there really isn’t much in it. It boils down to how much you have for your deposit as well as how much you have in the pot to then ‘fix up’ the property if needs be. Having properties in Nuneaton I know that void periods are minimal and once a house is advertised to let it will take around 2/3 days to get it let subject to contract. I am almost certain this would be a similar story in Coventry as the demand for rentals is so high at the minute. If you would like to speak to us some more about the Nuneaton property market or you similarly are unsure where to invest, please feel free to pop in and see us on Bond Street, the kettle is always on. Corporate or Independent Agent…? Do you even know? I read a really interesting article over the weekend by Christopher Watkin, renowned property guru, that really made me think about whether Nuneaton landlords and vendors actually know who they are instructing when putting their property for let or for sale and the implications of being unaware of whether one of the large corporates owns your local agency! I have noted my opinions and thoughts at the bottom of the article..
ARE COUNTRYWIDE BECOMING THE FLOUNDERING TESCO’S OF ESTATE AGENCY? 10 years ago – Tesco’s could do no wrong, the darling of the stock market, huge profits, they were invincible .. but now, still huge – Tesco’s are not the force they once were. Tesco’s Senior executives were pushed out of the business which also suffered a culture change which was “not for the better”. .. but over the last few years, big names such as Bob Scarff, Nick Dunning, James Poynor, Steve Hinshelwood and Peter Wallace have “left” Countrywide and on a separate note, now they are offering a dual estate agency package (online and High st). .. all this rang alarm bells ..
… is Countrywide going through now what Tesco’s has gone through in the last five years? Or is doing something revolutionary to save itself – to make itself 21st Century proof against the online/hybrid onslaught? Is the Senior Management of Countrywide doing something insightful to take their 1,000+ branch estate agency into the 21st Century or are they running around like headless chickens, throwing out the £100k+ a year old guard Directors and panicking about online/hybrid agents and their ilk and offering an online package to counter the Purple-menaces? Well its not for me to comment about people leaving, but to talk about a High Street agents offering Online packages .. that’s right up my street. So Countrywide offering an Online package.. I actually heard they are doing quite well it, converting people who called them for the cheap fee online package into the High Street fee package … but word on the street says they have spent hundreds of thousands of pounds to market the ‘cheap’ online fees package (although I believe they are only piloting the dual package in a handful of areas in the UK with two or three small of their regional brands) … so of course you are going to get shed-loads of Free Vals if you spend hundreds of thousands of pounds in three very small pockets of the. … and whilst we are talking about spending money, Purplebricks, they spend £1m a month on advertising .. of course that is going to get you free vals .. loads of free vals … it could be said PB and Countrywide are buying the FV’s with their expensive advertising. Problem is – what happens when the money runs out? One might ask if Countrywide became overconfident in the early to mid 2000’s, having such a huge network which in turn has led to overreach? Has Countrywide increasingly found themselves in a no man’s land of estate agency. Have Countrywide become like the ‘Tesco’s’ of UK estate agency .. gods 10 years ago but they have lost their way in the last few years? Tesco’s got lost between the deep cost cutters such as Aldi and Lidl and the quality brands such as Waitrose, leaving it with a weaker, less distinctive offer, while also fighting off its near rivals Sainsbury, Asda and Morrisons… and I think Countrywide might have lost their way… thus could they be clutching at straws ditching the experienced Directors and offering the dual estate package? .. or have they been very clever? As they offer the dual estate agency package approach and ditch layers of expensive management, are they protecting themselves against the new hybrid world, as they adopt, adapt and improve to counter the PB threat? You see, Countrywide, though wounded, remains by far the UK’s biggest estate agent. But if, as a result of its travails, it closing of branches, the off loading of expense senior management, its new online offering … it means it is then reduced in size, the market opens up to some degree and we learn the lessons of its imperial overreach, that would be good for British Estate Agency as a whole. When big goes bad, it hurts far more people. That is something we learned from the banking crisis. Mistakes get magnified and the blinkered, macho pursuit of growth and profits above all else distorts the business and the economy, and can end up cannibalising the very system on which it depends. Instead of looking to return the Countrywide swagger, Alison Platt (CEO of Countrywide) should reflect on how empires often make their worst mistakes as they scrabble to avoid collapse. So, what does all this mean for the Nuneatpn property market, after all, that’s what we are interested in! The thing with these corporate takeovers, acquisitions and mergers is that the public – and more importantly, landlords, tenants, homeowners and homesearchers – just don’t know who they are dealing with! In Nuneaton we have Bairstowe Eves (I won’t use the nickname Chris has used above!) – owned by Countrywide. 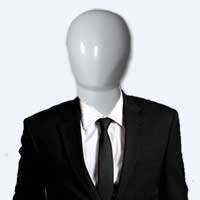 So, when looking for an agent to let your property, make sure you know who you’re dealing with! Are you a name or just a number? Are decisions made in the best interests of the branch or the company? Is it ‘let and forget’ or is a long term relationship more important? If you want a chat to discuss this further, please contact me on 02477 674545. As many of you with an interest in the lettings market will have read over the past months, a major topic of conversation is the charging of fees to tenants by agents prior to moving into a new property. The existence of a new body investigating costs for private tenants – including letting agent fees – has been revealed in the Commons by housing minister Gavin Harwell. It is called the Private Rented Sector Affordability and Security Group, set up to explore ways to reduce costs for tenants. It meets under Chatham House rules. The group has met once and is to have a second meeting shortly. Barwell revealed its existence in a response to a petition presented by Labour MP Helen Hayes, urging the Government to cap letting agent fees. In his response, Barwell said the Government believes that “ensuring full transparency is the best way… giving consumers the information they need so that they do not pay unfair fees, while supporting good letting agents”. He went on: “The Government are committed to creating a bigger and better private rented sector, which is easily accessible to current and prospective tenants. “We have set up the Private Rented Sector Affordability and Security working group which includes experts from across the PRS and housing sectors to explore options to reduce costs for tenants who access and move within the sector. “The Government have also introduced a package of measures through the Housing and Planning Act 2016 to crackdown on unscrupulous landlords and property agents who exploit their tenants by renting out unsafe and substandard accommodation. “This includes a database of rogue landlords and property agents, banning orders for the most prolific and serious offenders, civil penalties of up to £30,000, extended rent repayment orders and a more stringent ‘fit and proper’ person test for landlords applying for a licence. As there always is when the topic once again becomes prominent in the press, the reactions have been somewhat mixed! The most common train of thought is that if agents are unable to charge tenants fees for applying for a tenancy – whether this be referencing fees, administration fees or application fees – these fees will then be bourne by the landlord and rents will increase to compensate thus having little effect on the tenants outgoings. I will keep a close eye on developments regarding this issue and will update my readers if anything changes! Call me old fashioned, but I do like the terraced house. In fact, I have done some research that I hope you will find of interest! In architectural terms, a terraced or townhouse is a style of housing in use since the late 1600’s in the UK, where a row of symmetrical/identical houses share their side walls. The first terraced houses were actually built by a French man, Monsieur Barbon around St. Paul’s Cathedral within the rebuilding process after the Great Fire of London in 1666. Interestingly, it was the French that invented the terraced house around 1610 in the Le Marais district of Paris with its planned squares and properties with identical facades. However, it was the 1730’s in the UK, that the terraced/townhouse came into its own in London and of course in Bath, with the impressive Royal Crescent. 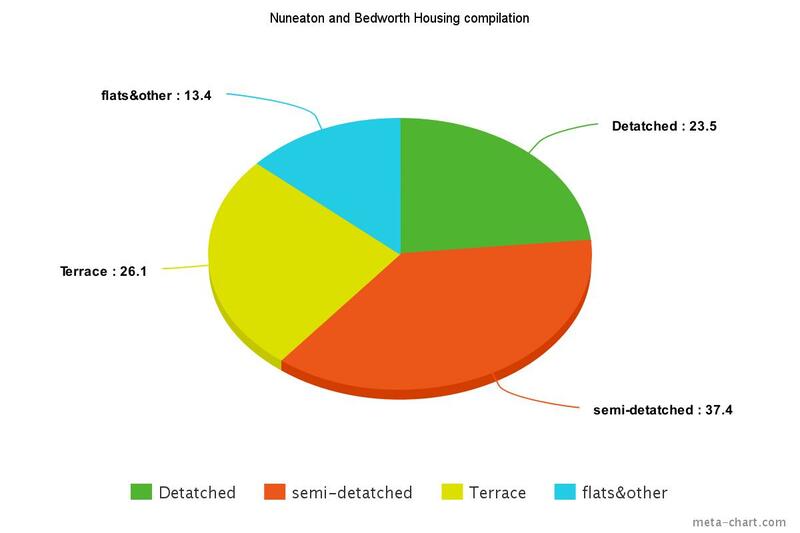 However, we are in Nuneaton, not Bath, so….the majority of our Nuneaton terraced houses were built in the Victorian era. Built on the back of the Industrial Revolution, with people flooding into the towns and cities for work in Victorian times, the terraced house offered decent habitable accommodation away from the slums. An interesting fact is that the majority of Victorian Nuneaton terraced houses are based on standard design of a ‘posh’ front room, a back room, where the family lived day to day, and a scullery off that. Off the scullery, a door to a rear yard, whilst upstairs, three bedrooms with the third straight off the second. Interestingly, the law was changed in 1875 with the Public Health Act and each house had to have 108ft of liveable space per main room, running water, it’s own outside toilet and rear access to allow the toilet waste to be collected as they didn’t have public sewers in those days in Nuneaton – well not at least where these ‘workers’ terraced houses were built. It was the 1960’s and 70’s where inside toilets and bathrooms were installed, often in that third bedroom or an extension off the scullery and gas central heating in the 1980’s and replacement UPVC double glazing ever since. When it comes to values, the average price paid for a Nuneaton terraced house in 1995 was £34,217 and the latest set of figures released by the land Registry states that today that figure stands at £121,089, a rise of 254% – that’s not bad at all is it? However, a lot of buy-to-let landlords and first time buyers I speak to think the Victorian terraced house is expensive to maintain. I recently read a report from English Heritage that stated maintaining a typical Victorian terraced house over thirty years is around sixty percent cheaper than building and maintaining a modern house – which is quite fascinating don’t you think! 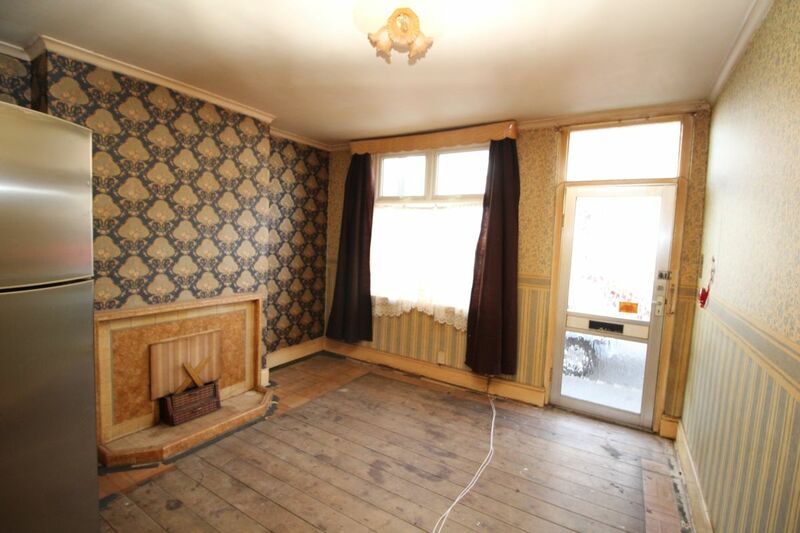 Don’t dismiss the humble terraced house – especially in Nuneaton! They can make great investment properties and are often the first step on the property ladder for many buyers. Stick to the good areas and make it look great and the humble terrace will stand you in good stead! 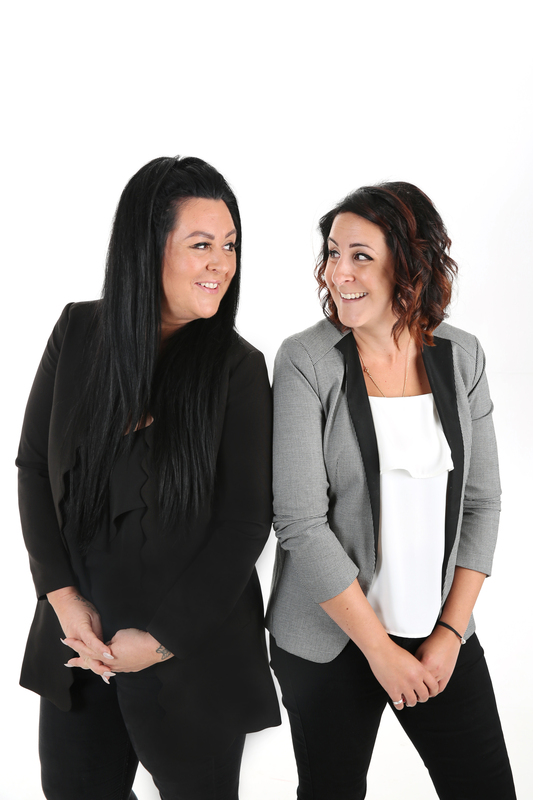 If you would like to speak to us some more about our thoughts on the Nuneaton Housing market, please feel free to give us a call on 02477 674545. 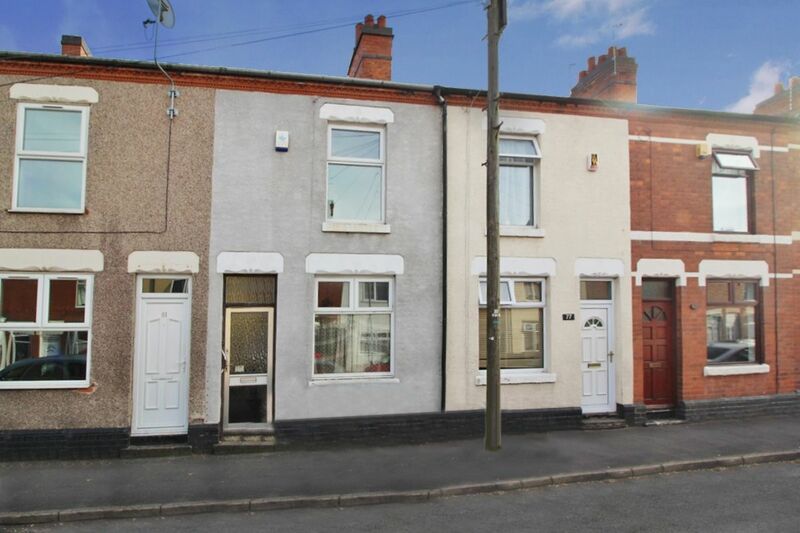 ….A rarity these days it seems, a 2 bedroom terrace property on the very popular Gadsby Street in Nuneaton. As appealing as the location, is also the price- £90,000. I think reasonable offers can definitely be made on this property and with the work that needs to be done I cant see there being too much negotiating. The property is in need of refurbishment top to bottom, but like I say in previous articles if you know the right people and the right places to shop this can be done on a budget- remember this is not going to be your home, it is a property which will be let out. Saying that, the interior of the property will have an effect on the rental income you could look to achieve so the minimal clean fresh look with nice fitted kitchen will be a winner every time. The property itself is being marketed with Your Move and whether this could potentially be your first buy to let investment or one more to add to your portfolio, I think it is definitely worth a viewing. I myself own a house of Gadsby street as well as managing several others and I know they are highly sort after because of location. It is a five minute walk from town and the train station, as well as being in the catchment area for the desired schools in Nuneaton, and also in a great location for commuting therefore attracting a wide range of potential tenants. If you are new to property investing or in fact new to Nuneaton, or an established property investor looking to seek advise please do feel free to get in touch, we are more than happy to share out knowledge of the market and also any contact we have that may be able to assist you in your buy to let project. Our office is on Bond street and the kettle is always on- we’ll even pull out the posh biscuits!